Back in the early 80’s no one had heard of the fantasy author Robin Hobb, due to the fact that she was still writing under he real name of Megan Lindholm. Although by 1986 she had already released the first three novels in her Windsinger series, Wizard of the Pigeons was her first stand-alone publication. When Wizard embraced his powers and was taught to survive on the tough Seattle streets, he agreed to live by a number of rules. He could never carry over a dollar, always look after the pigeons and tell people the Truth when they ask. The Truth is one of his main gifts, a Knowing and understanding. Strangers will take a seat beside him as if he’s not even there and ask him questions he has to answer. Things are changing though and all the wizards can feel a tension over the city and it’s after Wizard, a darkness that’s coming to break him down. He can stand and fight or give in and let it break him but what are the memories he’s hidden so deep that it threatens to bring to light? This is an unusual read for me, I am not generally drawn to fantasy but after having it recommended by a friend, I was then emotionally blackmailed into reading it by my boyfriend. The start is incredibly light-hearted and you follow Wizard as he wanders through some of his favourite haunts but as the story continues and at the city becomes a character in its own right, the tone of the novel becomes dramatically darker. Wizard is never referred to by a real name apart from in one chapter and this single section is what sets this novel apart. This stunning section leaves you questioning the world that has been created for you by the author. At first, you presume it is set in a fantasy world but later you’re encouraged to doubt the sanity of the main character. I am trying to give away as little as possible as this is the chapter that made the novel for me. It turns you on your head and makes you view everything you’ve read in a different light. 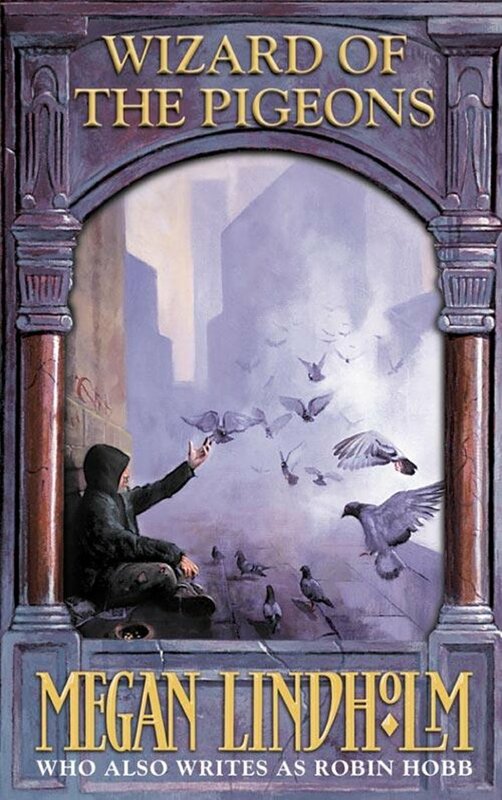 Lindholm’s representation of living rough on the streets is also incredibly powerful, conveying Wizard’s struggles to blend in, make connections, keep a roof over his head and feed himself in a very realistic manner. This is a superb and unique fantasy novel that makes some haunting statements about sanity, war and survival.